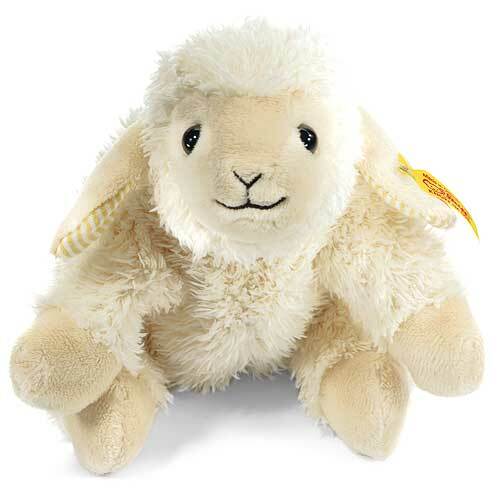 Steiff LINDA Little Floppy Lamb 281280. Made of cuddly soft cream plush, with safety eyes and stuffed with synthetic filling material. Machine washable.